The future of the internet is lots and lots of fake stuff. There’s just one problem with these Airbnb listings: they don’t exist. A new website called This Airbnb Does Not Exist uses machine learning to whip up plausible-yet-slightly-incoherent apartment listings — from a description to ersatz photos of the interior. The site’s creator, Christopher Schmidt, was inspired by This Person Does Not Exist, another recent viral site that uses a neural network to generate photos of nonexistent people. 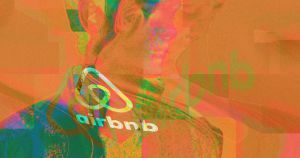 Schmidt trained This Airbnb Does Not Exist’s image generator using a dataset of apartment interiors and its text generator using actual Airbnb listings. The result: fully furnished figments of the digital imagination. Strikingly, Schmidt had little previous experience with machine learning. But by studying similar projects, he said, he was able to pull together a site that generates almost-convincing fictional rooms.